Hiring without a Recruitment Agency Help, It may not be the best Option. Recruitment is not an Easy Task. The whole hiring process needs lots of effort to find the Best candidate. Interviewing thousands of candidates is not only tiring, but it costs your valuable time & Capital. Additionally, you need a network to find right candidates. Why take so much hassle? “ALL in ONE Employment Services” is here to make your Hiring Process suitable. Many Small Company owners think they can directly hire the best candidate and it is a perfect Idea. While recruiting a Staffing Agency may cost them huge money. However, this is not always true. You may be saving few bucks by not considering a Recruitment Agency, but in the long run, it will cost more money. You are investing your time & effort to hire a Candidate. However, are you sure he or she is only the best candidate for your company? You may not reach your potential candidate without Recruitment Agencies. You are losing potential candidates. Taking a wrong hiring decision can be excessively costly. You are posting your opening to all job sites and Social Media. Do you think everyone will respond? Not every job seeker will respond to your posting. You will miss out many top candidates. 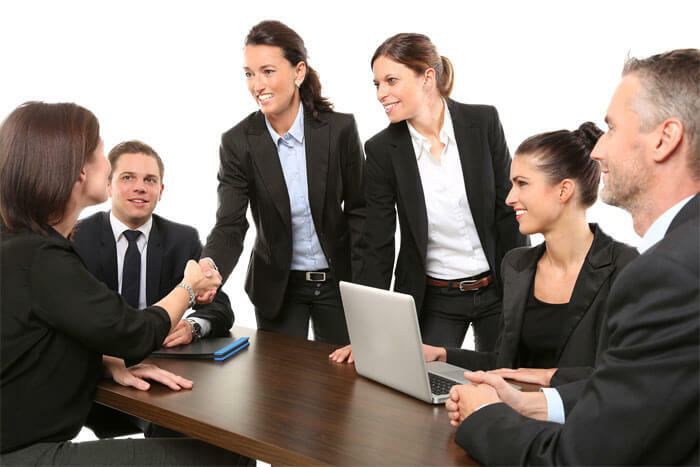 Reaching all candidate is never possible without hiring a Recruitment firm. May be you will end up getting the wrong person for an interview. You may know whom you are looking for, but reaching out to that candidate is a challenging job. Here in Miami is a Recruitment Company that works best for you. They are always passionate about their job. They know how to find the right candidate for the right company. Also, they have the best network to find your top talent and Guarantee your Investments for six months. Let a Recruitment Agency make this dirty task for you. They will reach out to every potential Job seekers in your preferred area. They will take care of the whole hiring Process for you. Just interview the pre-screened candidates best suitable for your job position. Hire only the best. Hiring a Wrong can cost you a lot. You may end up by hiring the wrong employee. The bad employee can hurt your Team. You will end up losing critical projects & clients for one bad employee. You are losing money while paying salary to the Wrong Employee. The new Hiring will cost you more, Even though if you rectify the bad employee and want to replace him/her with the new worker. A bad hire can even cost you much more than Hiring A Professional Recruitment Services. Sometimes company owners make this mistake by hiring directly. The reason behind the error is not lack of experience, but the lack of Networking & Time. You are interviewing a thousand candidates just for one job position. It is not only tiring but time-consuming and creates frustration & anxiety issue. So why take the bad move first? Don’t make the same mistake like other business owners. You can avoid this hiring mistake by hiring a Recruitment Firm. Interview only the few Job seekers who are already pre-screened by your criteria. Every designation & position is different in your company. The same applies to the candidates too. You cannot interview a Designer the same way you interview an accountant. You may be an experienced HR Manager, but you may not know how to interview everyone differently. The problem is with the hiring process. The Managers do not have time to read the whole resume. They think they can hire just by picking keywords from the resume. Anybody can stuff keywords in a Resume. The hiring process is not just limited to interviewing a candidate. It also depends on several other factors. Here is “ALL IN ONE Employment Services” with the most sophisticated Software and a Data Base with over 50k Qualified candidates to fill your position with the Top Skilled, Experienced and Enthusiastic Employees. As a Full Staffing Services Company, They Come to rescue you Offering the opportunity to hire Direct or Temp to Perm. Hiring is their sole job & they are best at it. They how to treat each candidate for the various position. You will get the best candidate for your investment. Sometimes your company needs to hire skilled professionals frequently. You may not always need a permanent position placement in your business. In that case, ALLinONE Offer you A long Temp Employee or Temp to Perm employee. However, hiring the best suitable candidate is not easy. You have to interview hundreds of Applicants. Manually verify their work and check whether they are fit to finish the project on time. Even though you have hired one candidate, you cannot be sure about them whether they can finish the job correctly on time or not. The whole process is very time-consuming and risky. So the Solution is the Staffing Agencies. They already have many job seekers on their network already screened and suitable for your position. No matter whether you are looking for a permanent position or a temporary one. They always have the solution for you. Hiring through a Recruitment Agency is always Risk-Free. I have just listed six advantages to consider appointing a Recruitment Agency for your Hiring Process. However, there are several other benefits and disadvantages. However, it is not a bad idea to appoint an Employment Consultancy. Additionally, There are several Types of Agencies in the Employment industry. Permanent Staffing & Temp Agencies, Headhunting, Direct Hiring and several others. You have to choose a Recruitment Agency that will perfectly fit your requirement and Protect your Staffing Investments. Request Your Top Quality Employee NOW!! Additionally, We provide services to Miami, Coral Gables, Hialeah, Kendall, Brickell and Broward County But also Offering Executive Search and Direct Hire Placements Nationwide.